Welcome to part two of four of my Top Toys series! To read more about why I am doing this series, please check out Part One Here. Body Parts: Use the dolls to teach all the body parts: eyes, nose, mouth, ears, hands, fingers, tummy, feet, toes, knees, elbows, etc. Clothing Labels: Using the doll and its clothes, you can teach the names of clothing items like shirts, pants, shoes, socks, jammies, etc. Verbs/Feelings: Use the baby with some other baby toys (bed, bottle, clothes) to teach verbs/feelings/etc. like: eat, drink, sleep, sit, stand, hungry, sleepy, thirsty, etc. 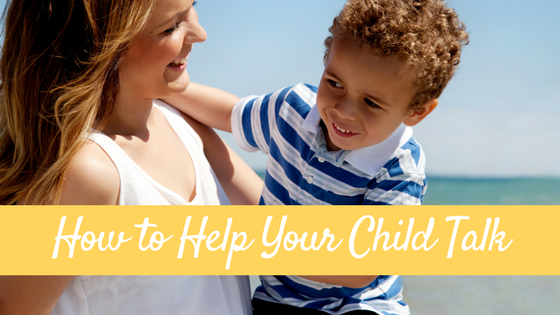 Answering “wh” questions: You can ask your child an array of questions to work on her understanding of these words. Where is baby? Where is baby’s nose/fingers/belly button? What does the baby want to eat? Why is the baby crying? Social/pragmatic skills: Baby dolls can be a great tool to use to help teach appropraite social/pragmatic skills. Take turns playing with different dolls. Practice using language to ask questions about the dolls and what they are doing. Food vocabulary: When used with some simple, inexpensive fake food, you can teach the names for all KINDS of food items. IKEA and Target both sell really inexpensive fake foods. 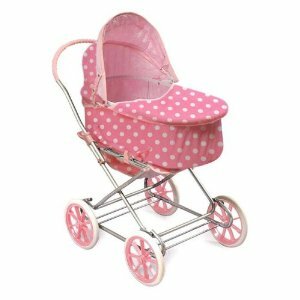 Basic Concepts: Using baby dolls, food, and any other items, you can work on concepts like in, out, on, under, between, next to, etc. You can work on full/empty, some/most/all, first/then/last, big/medium/small, big/bigger/biggest, etc. You can push the m THROUGH things and AROUND things and BETWEEN things (like chairs, furniture, and other toys). 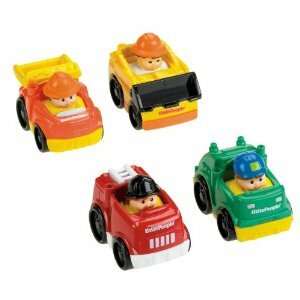 Verbs: While playing with these toys you can work on the words push, stop, go, run, walk, jump, skip, etc. Answering “wh” questions: Work on answering Who, What, Where, Why, When, and How while you play with the cart/stroller. Where are you going? Where is the baby? Where is the food? What color is the apple? Social/pragmatic skills: You can use these items to work on turn taking, a very important social skills. Take turns putting things in, taking things out, and pushing them around the house. Basic Concepts: You can basically work on all the major basic concepts using cars. Pair the cars with a simple ramp that you can make out of cardboard or wood and you can basically target anything you want! You can target colors, numbers (if they have numbers on the cars), counting, big/small, some/more/less/all, fast/slow, all the propositional concepts like in/on/under/over/top/bottom etc. Verbs and Adjectives: Cars are great for working on all kinds of action and describing words! Go, stop, fast, slow, etc. Answering “wh” questions: Work on answering Who, What, Where, Why, When, and How while you play with the cars. Where is the car? Who is driving the car? What color is the car? Where are the wheels? Animal Names and Animal Sounds: Work on teaching the names of all the animals and the sounds they make! 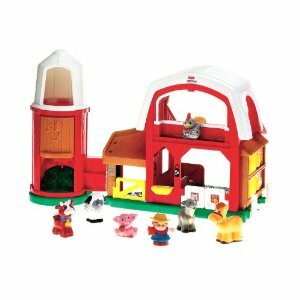 Basic Concepts: Using the animals and the barn, you can work on all the prepositional concepts like in, out, on, under, between, next to, etc. You can work on some/most/all, first/then/last, big/medium/small, big/bigger/biggest, etc. and all the colors. Answering “wh” questions: Work on answering Who, What, Where, Why, When, and How while you play with the animals. Where is the horse? Which animal is next to the cow? Who is eating? Which animal makes the Mooooo sound? Etc. Social/pragmatic skills: You can use these items to work on turn taking, a very important social skills. Take turns with the animals. Work on asking “May I have a turn please?” or “May I have the horse please?” Work on eye contact while you play and talk. Body Part Names: Obviously Mr. 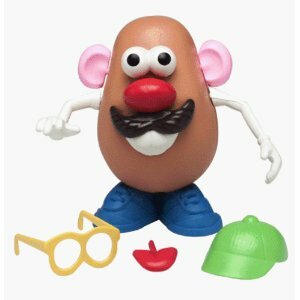 Potato Head is excellent for teaching body part names. Just be sure to teach the child the body part names on her own body as well. Basic Concepts: Mr. Potato Head is great for working on all color concepts as well as the concepts of in/out. You can also work on concepts such as first/next/last and left/right and prepositional concepts like over/under/top/bottom etc. Great list! Thanks!! And I am on the lookout for fake food! Thanks Christina! Also check places like Ross, Marshalls and TJMaxx for fake food…you can sometimes find awesome deals! I love this list. These are things we already have but it gives me more ideas for conversations during play. my 2 year old– who doesn’t talk much– LOVES toys. He can stay entertained for a long while with his little people sets and his trucks! He does have one baby but he doesn’t play with it much. He loves to put it to bed. 🙂 We’ll have to try dressing it, etc. Jackie I am so glad you are finding it helpful! Yeah…not all kids will like all toys so it’s ok if your son isn’t into the doll 😉 And their interests change so quickly too!! This is such a great post! 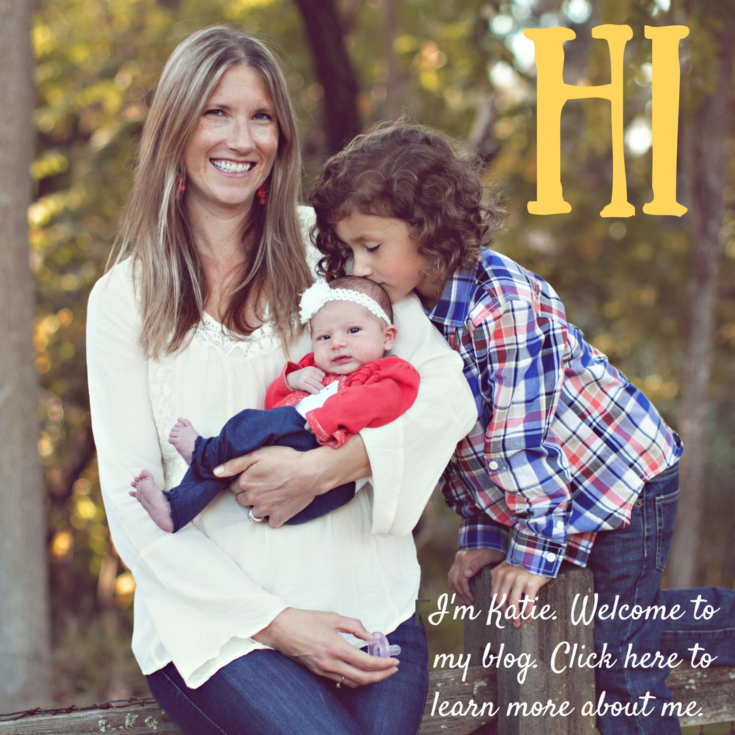 I am an SLP working in an outpatient setting. The majority of therapy is in a play based/child directed manner. 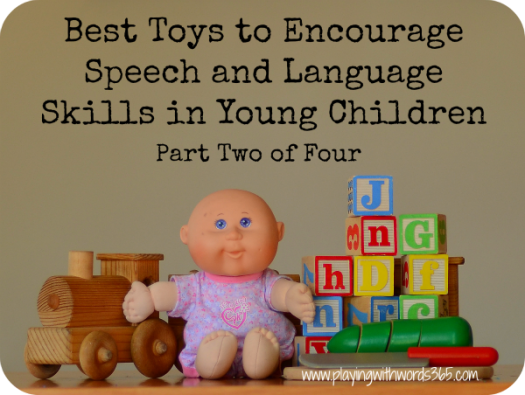 I am already using a majority of the toys you have listed but this post was very helpful in expanding the way I am using the toys and the different language components I can target that I am not already focusing on! thanks! Thanks Stephanie, I am so glad you are enjoying it! Stay tuned…I have a giveaway planned to go along with this series of articles! 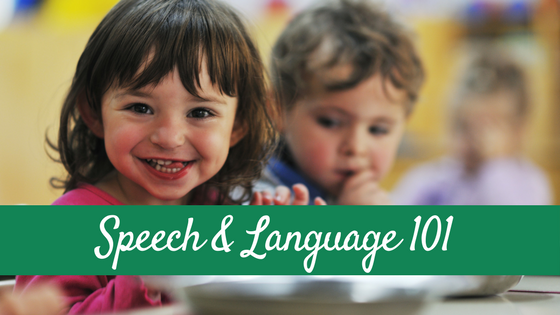 I have worked as an SLP with Birth-grade 12 students for 12 years now, and have 3 girls of my own…I whole-heartedly agree on ALL of your recommendations so far! In fact, I think at home we OWN each of the items you have mentioned! I look forward to seeing what other items I may be missing as you continue your posts. 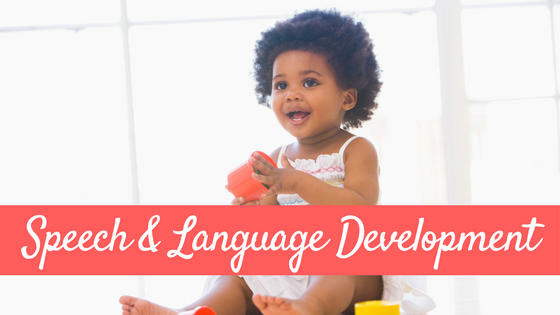 Wonderful information for families or SLPs who are not sure on what to use or how to use it. Thanks for such a wonderful group of postings! Thanks! Sofia got to play with some fake food last week at our friend’s house and she loved it! I’m going to get her some very soon. Wonderful list! Pinning this one. I enjoyed reading your post. I am a preschool teacher and use many of these items in my classroom. It is not always necessary to purchase all the commercialized play food at a store. I often add empty food containers (cereal boxes, cracker boxes, milk cartons, tin cans, juice containers, egg cartons, etc.) to the house centre in my classroom. You can also add dry food in containers (items like pasta, and nuts). Cut up yarn is a great way to simulate spaghetti. The children then can relate to the real dramatic play items in a concrete, authentic way, because they see the items being used in their homes and at school. The bonus is that you save money when don’t have to buy the toy food. Chantelle those are fantastic ideas! Thanks so much for the recommendations! I teach Deaf and Hard of Hearing children.You have wonderful ideas and information. This is helpful for others working with my students and parents. I appreciate your willingness to share your expertise. Bec, welcome! I am happy to hear you are finding my posts helpful. 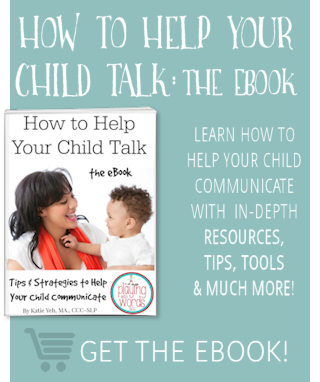 As far as how to use the toys, I encourage you to check out my How to Help your Child Talk page, and start reading my How to Help Your Child Talk series. The most important thing to do is follow your child’s lead. One quick recommendation regarding the baby doll…get yourself your OWN doll, and feel free to play with it as you wish along side your daughter, and then allow your child to play with her doll as she wishes. Don’t label body parts…just PLAY 🙂 Good luck! Hi, I have a grandson that was born 6 weeks early. 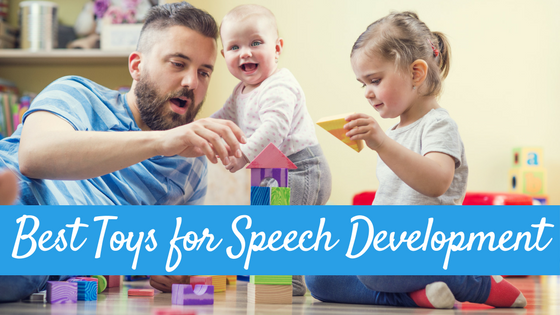 His pediatrician is now saying my grandson needs speech therapy…he is 15 months old. I was curious to ask how would she know that my grandson needs speech therapy at such a young age? He says Da Da and Da Dee…Mommy…he is getting ready to walk, very intelligent when it comes to showng him something once and he mimics it immediately. I would like to help my daughter in law not be so nervous about it. Thank you.